FUNING(YUNNAN), July 15, 2014 (Xinhua) -- Rescuers are seen near a collapsed railway tunnel in Funing, southwest China's Yunnan Province, July 15, 2014. 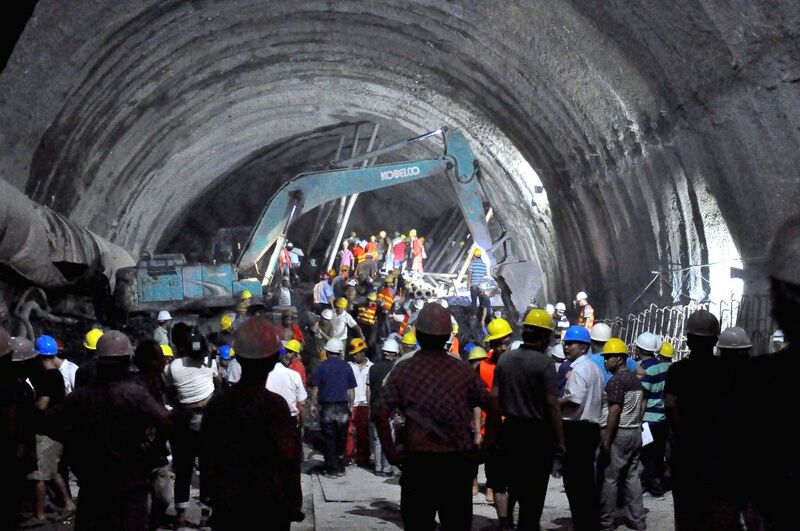 Rescuers were working all out Monday night hoping to reach the 15 workers who had been trapped in the debris of the collapsed railway tunnel in Funing County. The tunnel, known as Funing No. 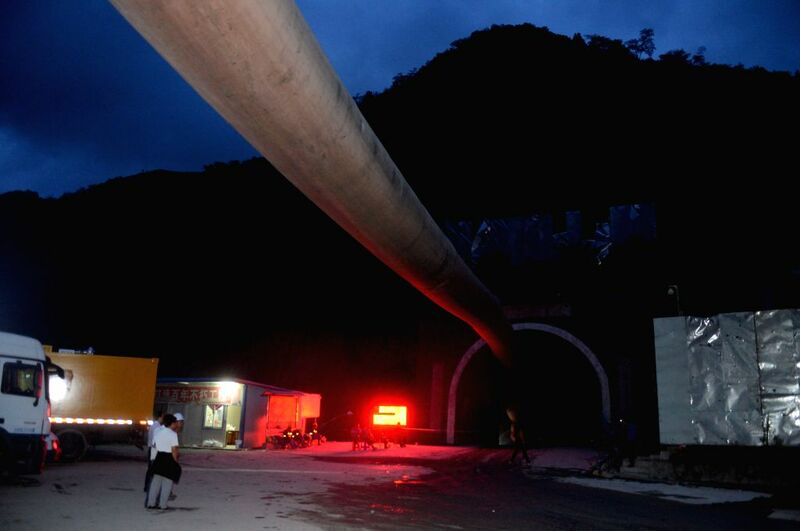 1 tunnel, was on a 710-km railway linking Kunming with Nanning, capital of the neighboring Guangxi Zhuang Autonomous Region. Part of the tunnel, which was still under construction, collapsed at 4 p.m. on Monday. FUNING(YUNNAN), July 15, 2014 (Xinhua) -- Rescuers work in a collapsed railway tunnel in Funing, southwest China's Yunnan Province, July 15, 2014.